American Kenneth Smaron took down the $5k PokerStars Championship Panama Main Event while Steve O'Dwyer won the $10k High Roller. Smaron, known as "kenny05" online, is widely revered as a high-stakes Sit & Go legend has won the $5,300 PokerStars Championship Panama Main Event for $293,860 after beating a 366-strong field. It was the largest poker tournament ever held on Panamanian soil. More than $9.3 million was awarded in prizes across the whole festival to become biggest event every held in Latin America. There were well over 6,000 entries across the 46 events at the Sortis Hotel, Spa & Casino. Among the number of celebrities who competed in Panama was UFC Hall of Famer Tito Ortiz. Ortiz had a remarkable run in the Main Event, and second in chips entering Day 2, then fourth in chips for Day 3. The former Light Heavyweight Champion was one of the shorter stacks among the last 30 in the event for Day 4 however but nursed his chips into a 22nd-place finish, notching $16,080 for his first live tournament cash. Steve O'Dwyer won outlasted a pro-heavy field of 110 entries in the $10,300 High Roller event in Panama to collect $240,451 and yet another trophy for the collection. The result followed a fourth-place finish in the $50,000 Super High Roller for $182,220, and another $7,720 for a middling cash in the Main Event. His live tournament winnings now total more than $16.5 million, including three seven-figure cashes and two more just shy of that mark. Edgar Stuchly, PokerStars’ Director of Live Events, said: “We look forward to bringing more PokerStars sponsored events to this region and beyond as we continue to invest into growing poker globally. 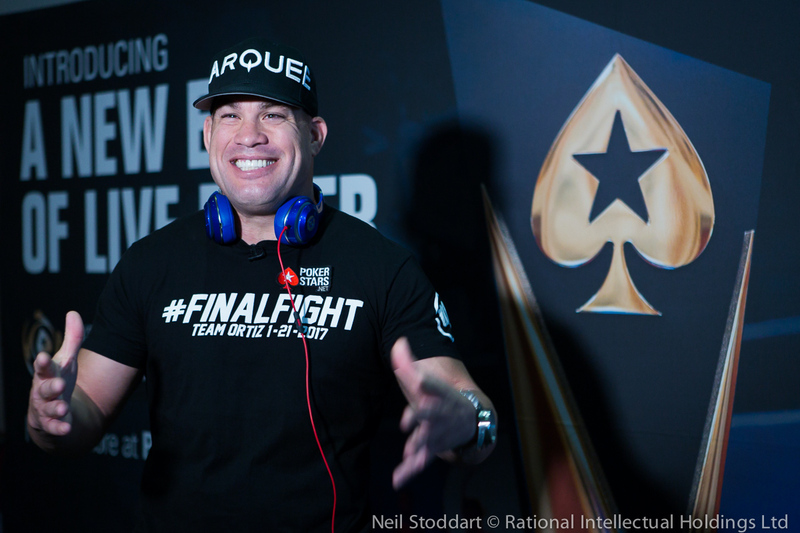 We hope to see you at our next PokerStars Championship – which kicks off in Macau next week."